The Centre for Engineering Innovation and Entrepreneurship recently celebrated a milestone with the “From the Ground Up” showcase marking the mid-point of construction. 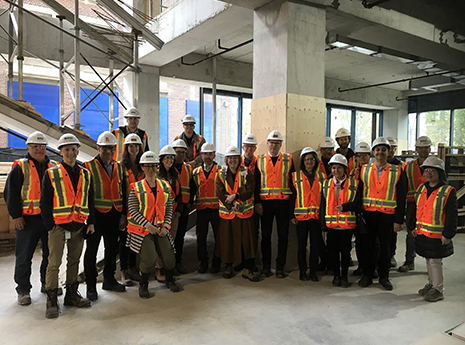 Guests were able to get an early look at what will become a vibrant, multi-disciplinary hub designed to foster collaboration, encourage active learning and accelerate innovation. The project is being built by Bird Construction and was designed by Montgomery Sisam in association with Feilden Clegg Bradley Studios.